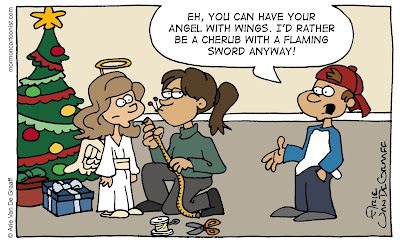 Eh, I'm not sure what, if any, difference the LDS church ascribes to angels and cherubim. Maybe I'd better consult McConkie. I'd rather have wings. Flying is much more fun than waving a sword around!